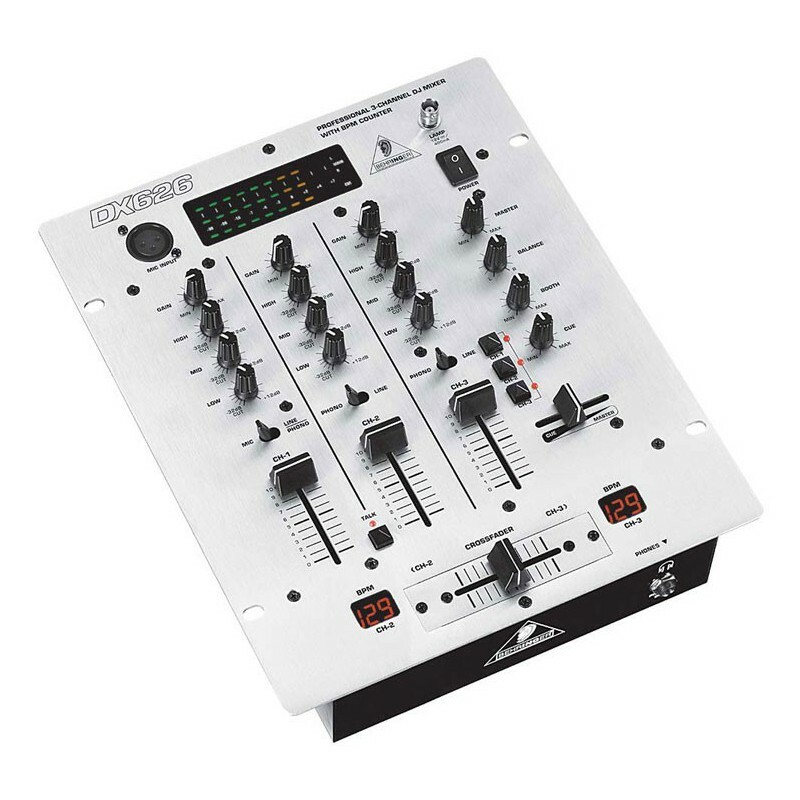 The PRO MIXER DX626 is a professional high-quality 3-channel DJ mixer with integrated Beat-Per-Minute (BPM) counter, and embodies a proven 3-channel design loved by DJs worldwide—beginners and professionals alike. 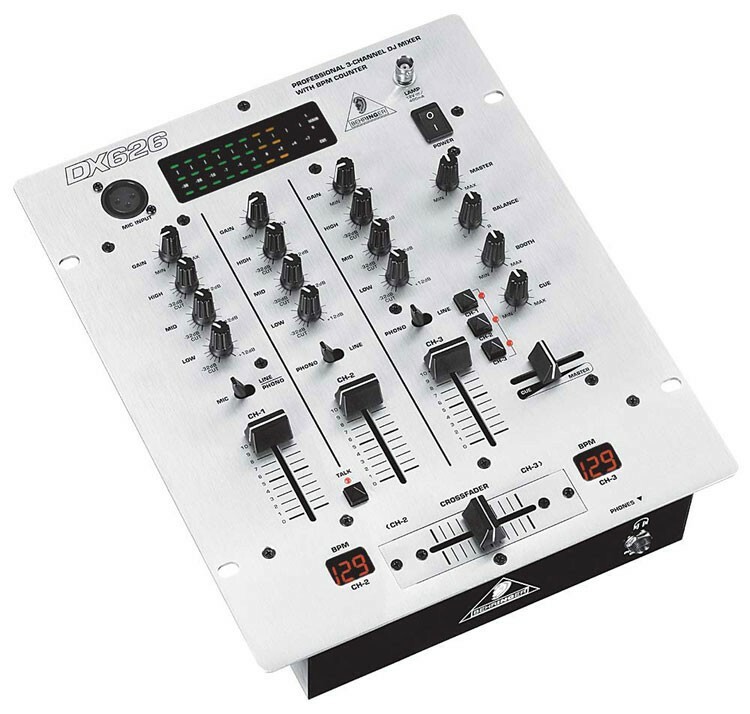 Its super-smooth dual-rail "Ultraglide" crossfader with up to 500,000 life cycles guarantees years of trouble-free fun. 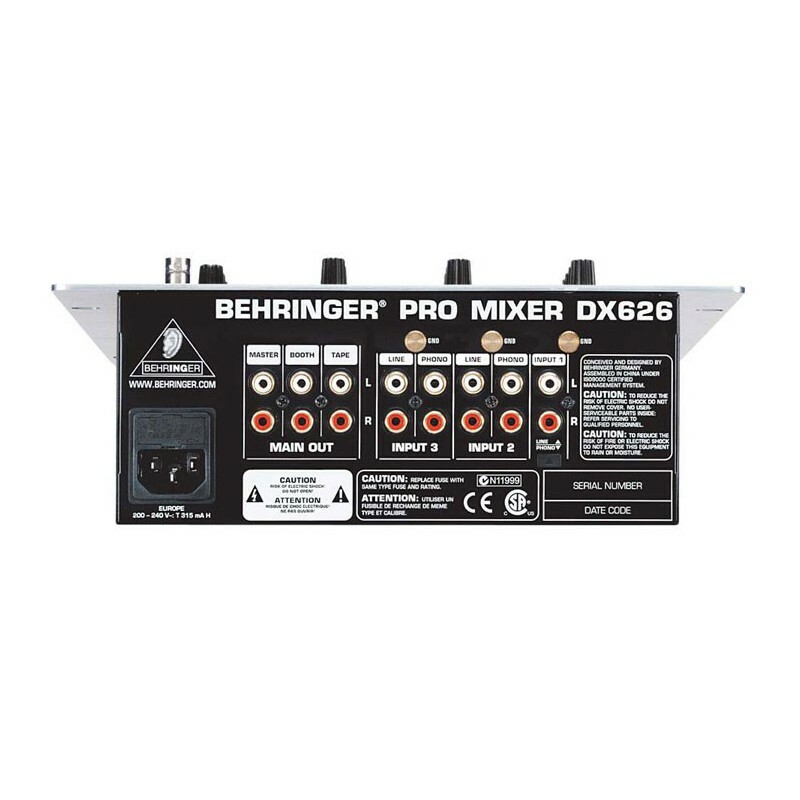 Numerous features such as three dual input stereo channels with gain and 3-band kill EQ (-32 dB) and one channel additionally switchable to studio-grade ULN microphone input and the manual talkover function enable you to work in completely new and imaginative ways. 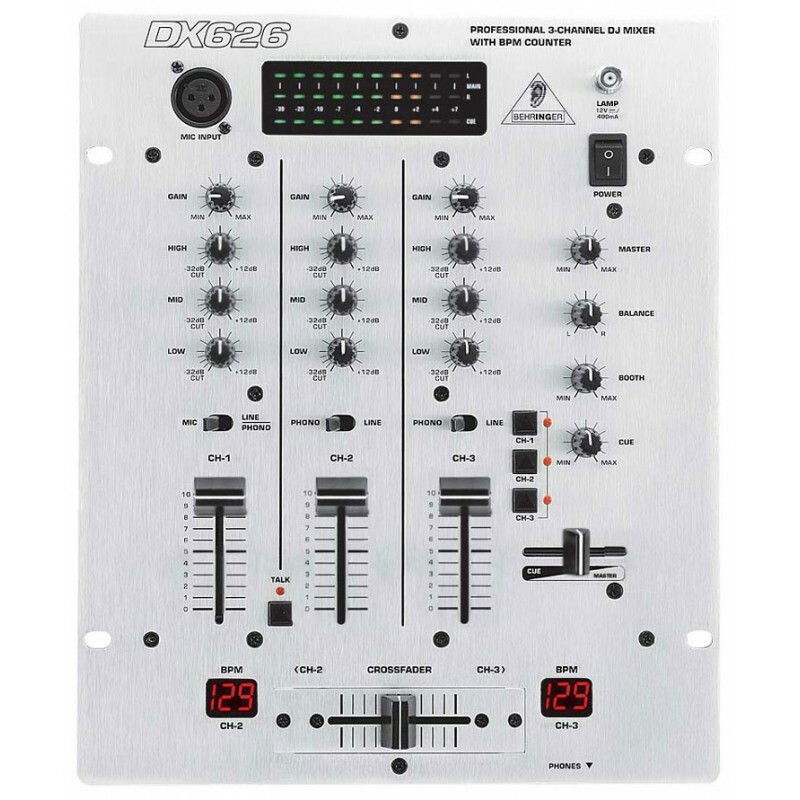 The DX626 is extremely easy to operate and it helps you give free rein to your creativity. 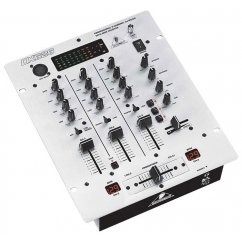 Additional features include PFL function with a master/PFL mix option and a peak-hold level meter with a dedicated PFL bar graph. There is also a BNC gooseneck lamp socket.